I will ALWAYS be a huge fan of bell bottoms. I know I've said this before, but when it comes to denim, I don't discriminate. 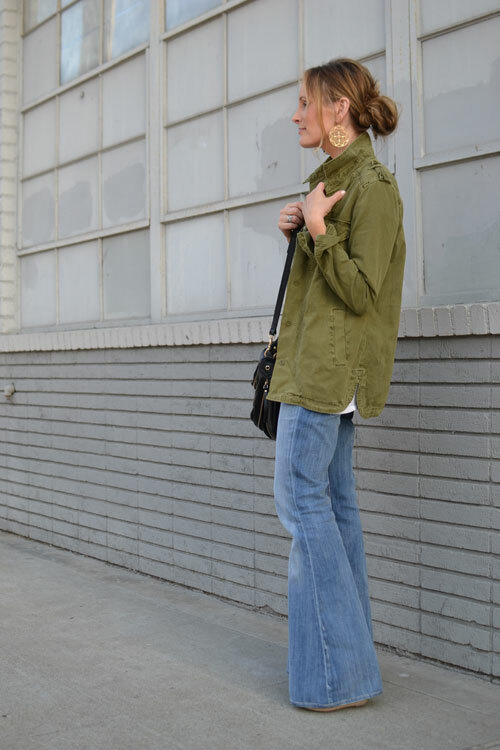 I came across a photo of Jessica Alba wearing bell bottoms and a cargo jacket on Pinterest, and was totally inspired to recreate the look. I've had these bell bottoms forever and I swear they just get better and better with time. Love the wide leg jeans! So pretty! I know very few other people who could pull off the super flare jeans now a-days and still look so fabulous! You go girl! I don't think this retro look could ever go out of style, almost classic. I love it! Your hair looks great tucked up like that. And you wear those bottoms so well! Gorgeous!!! Love the hair, the jeans....everything! 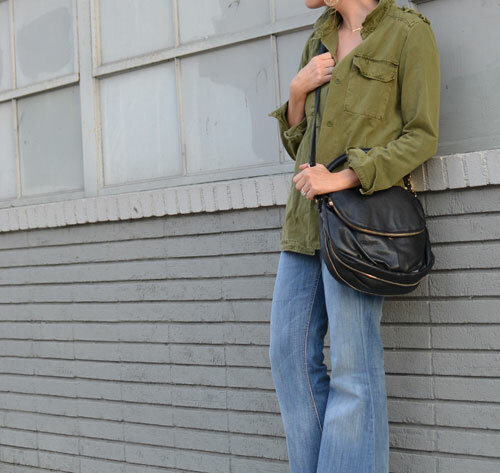 You rock bell bottoms so well! 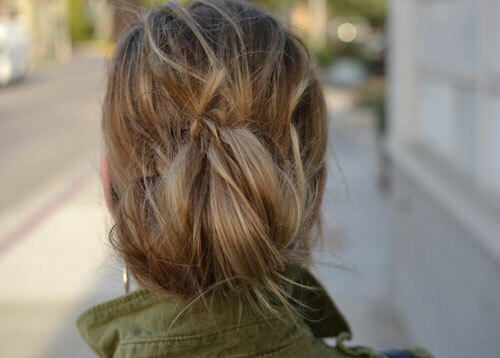 Love this simple but chic look.